Can wind get respite from this year’s death by a thousand cuts? There may be bipartisanship on renewable energy issues in Washington despite what Governor Romney’s campaign says. And a remote Brazilian court may soon tip the scales of international justice toward U.S. wind. Senator Mark Udall (D-CO) has for weeks seemed like a lone voice as he has gone daily to the Senate floor to call for extension of wind’s vital 2.2 cents per kilowatt-hour production tax credit (PTC) and argued for the 37,000 jobs and annual $20 billion private investment likely to be lost if Congress does not act. Senate Finance Committee members from both sides of the aisle must have been listening. 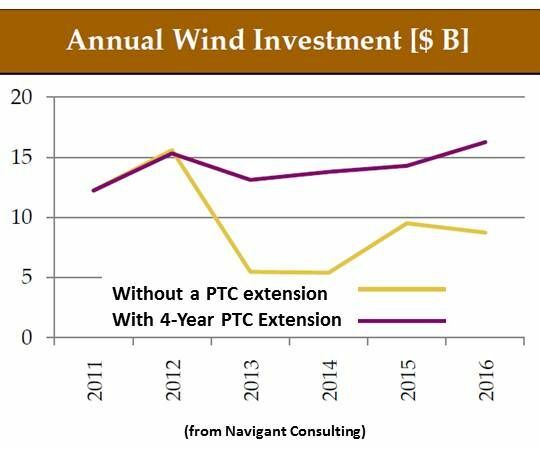 Thursday, by a 19-to-5 vote, they passed an extenders package with a PTC extension, as well as an extension of the Investment Tax Credit (ITC) that would help grow offshore and distributed wind. Crucial support from Republican Senators Chuck Grassley (R-IA) and Pat Roberts (R-KS) made it possible for the Democratic majority to get the bill out of committee. 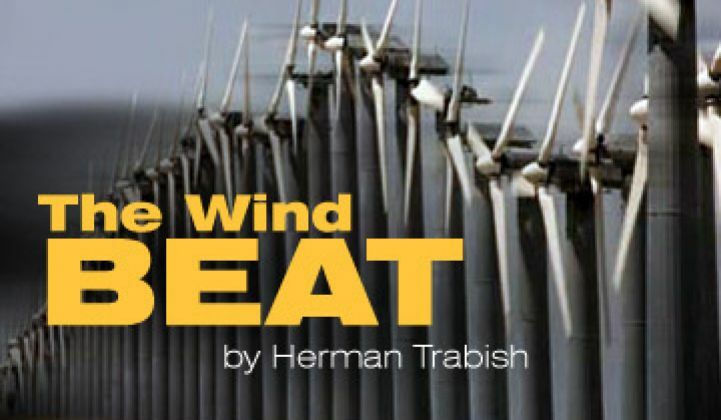 Udall and six non-member senators -- Michael Bennet (D-CO), John Boozman (R-AR), Scott Brown (R-MA), Tom Harkin (D-IA), and Jerry Moran (R-KS) -- submitted a letter urging the committee to support wind’s incentives. The ITC is important to offshore developers because it allows investors in the more costly and slowly built ocean projects to reap tax equity benefits sooner. The Finance Committee’s ITC extension starts the equity payoff with the beginning of construction instead of the beginning of production. The prospect of the bill getting to the Senate floor for a vote before the November election is not considered to be good, and assent from the Republican-led House of Representatives is even less likely. As noted by GTM yesterday, Republican presidential hopeful Mitt Romney opposes the PTC and support for renewables. Earthtechling’s Pete Danko explained in GTM how Romney’s position could create problems for him in the crucial swing states of Iowa and Colorado. The Finance Committee vote affirmed Danko’s point. 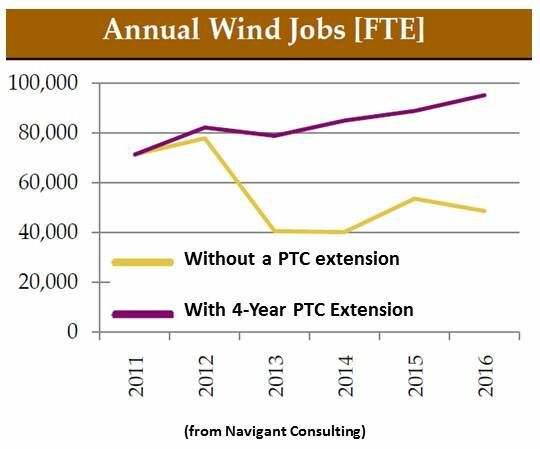 But efforts to extend the PTC and ITC are only necessary, American Wind Energy Association CEO Denise Bode frequently notes, because the fossil and nuclear industries’ subsidies are permanently embedded in the tax code, while the renewables must continually fight for renewal of comparable support. Europe’s policies have seen over 3.8 gigawatts of offshore wind installed there and Chinese and South Korean incentives target multi-gigawatt offshore capacities by mid-decade. The U.S. may have one 300-megawatt offshore installation by 2015. AMSC’s legal fight with Chinese wind turbine manufacturer Sinovel over intellectual property (IP) rights in China seems about to get judicial consideration in the remote Brazilian jurisdiction of Barra dos Coqueiros. When Sinovel ignored requests for verification that the twenty-three 1.5-megawatt turbines it shipped to Brazilian wind developer Desenvix did not contain illegally obtained AMSC IP, Desenvix filed a court order. AMSC, which is pursuing four Chinese court cases requesting $1.2 billion in compensation and damages from Sinovel, followed with its own filing. This all began when Sinovel unexpectedly refused contracted AMSC wind turbine core electrical components in March 2012 and referred to the components as “backward technology” in the Chinese media. Subsequently, an Austrian court convicted a former AMSC employee of taking money from Sinovel for illegally transferring codes for the “backward technology.” Evidence included emails containing the bribe offer, the technology transfer, and the money transfer, as well as proof the stolen technology is being used in a Sinovel customer’s turbines. Last November, Irish developer Mainstream Renewables canceled a one-gigawatt contract with Sinovel. In January, the company cut its annual projections 50 percent. In June, Romanian developer Eolica Dobrogea backed out of a 1.2-gigawatt deal. AMSC’s 2011 numbers also plunged, but just-announced 1Q 2012 financials show considerable improvement. Total year-on-year revenues nearly tripled and net losses were cut almost three-quarters. Sources familiar with small Brazilian court procedures suggest the resolution of the case may take time.